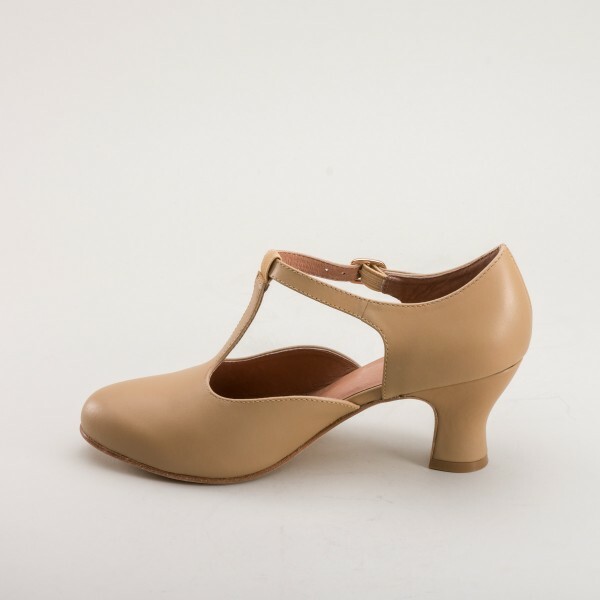 Follies Theatrical T-Strap Shoes are a perfect fit for a t-strap character shoe with that perfect vintage style. 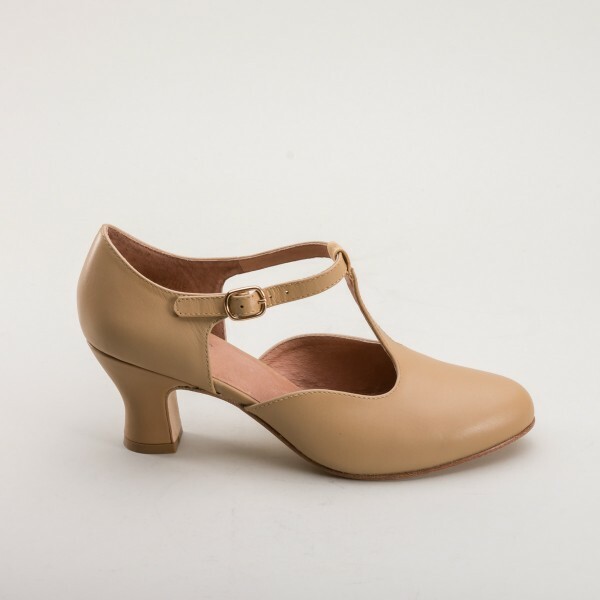 Our first, classic offering of t-strap character shoes come in black or tan and feature our comfortable 2.5 inch Spanish heel, perfectly balanced and attractive for all kinds of performance. 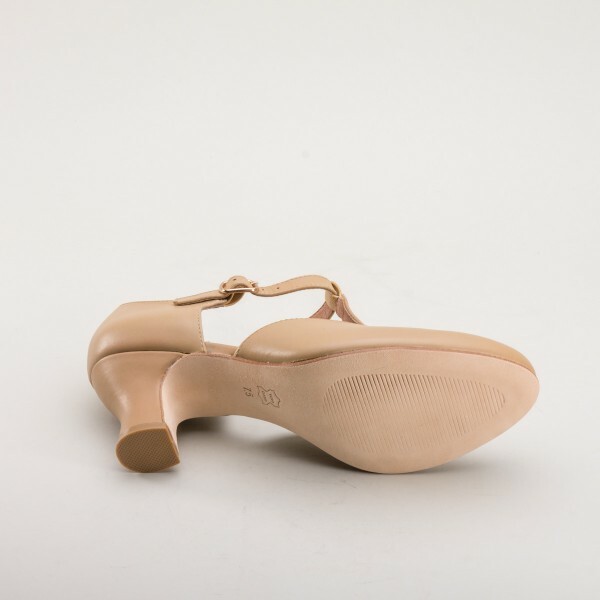 The elastic loop at the top of the "T" and the short-shanked flex soles allow for flexibility in dancing. 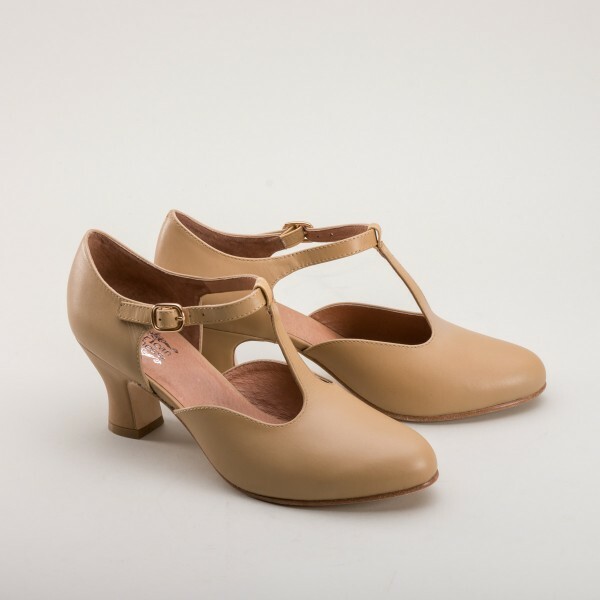 The Follies comes with a standard buckle strap, but quick-rigging hooks are also available to purchase in a matching color (unfitted). *The soles on the Follies T-Straps are an unsealed, slightly sueded leather. For outdoor use, we highly recommend treating the soles regularly with mink oil. For winter wear, it is advised to have a rubber half sole applied at a shoe repair shop. 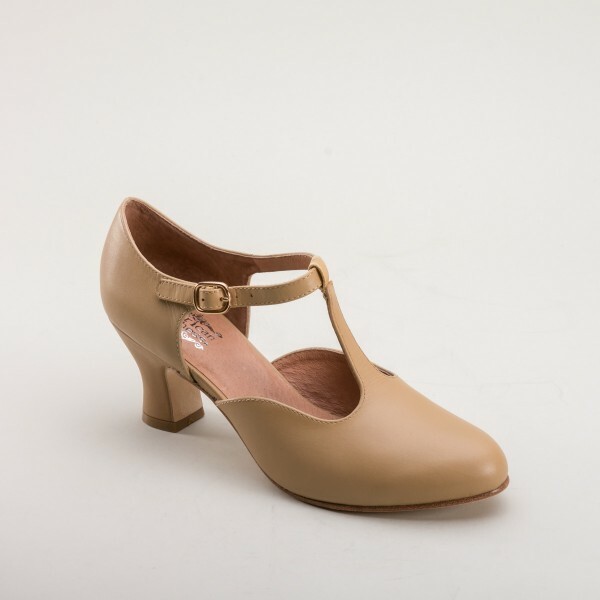 Runs true to size for most customers - for a close-fitting DANCE fit, we recommend going a half-size down.